Best tapping meditation for me yet. I’ll get out Louise’s book and tap through it. So dumb of me not to have thought of that. Nice to see you have not lost your Spanish, Nick. It is so comforting to speak to others in their own language. Relieves a lot of stress. Thanks Nick and Louise! 💫 WONDERful…..
Every tapping session I do with you and Jessica enlightens me more and more to my body and mind and this one is no exception. You are awesome Nick Ortner. Thank you for all the sharing you do. No joy. I don’t do apps. I prefer a keep it simple life. I got sent the link via my email but it doesn’t work at all. Been asthmatic since age 11 and I’m significantly older than that now. Currently have upper resp issues that I’ve thrown every herbal remedy at and it just will not go this year. 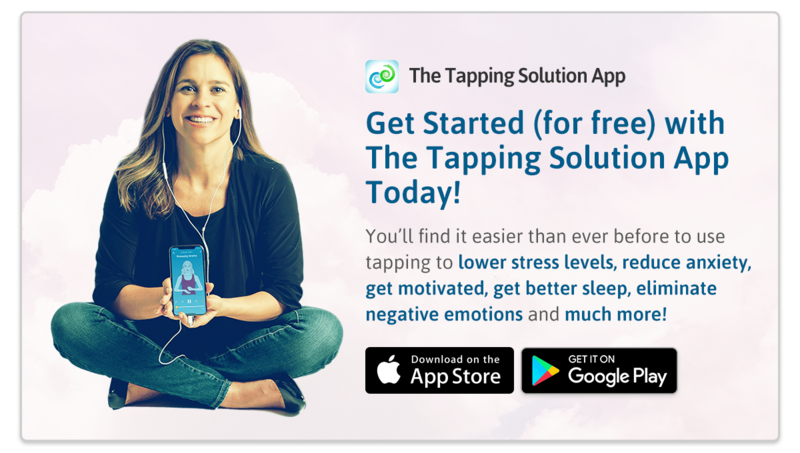 Would love to try the tapping meditation ..however … I would have thiught it wiuld be a simple mp3 …? Thank you for sharing this exercise, it was awesome!